There are often opportunities to help raise awareness of psoriasis, contribute to projects and initiatives, and share your experiences. Listed below are various opportunities that the Psoriasis Association, or other organisations, are looking for people to get involved with. If you are interested in getting involved in psoriasis research, please see our Research pages. BBC Radio 5 live is looking to speak to someone who either is, or historically has, struggled to cope with the psychological impact of living with psoriasis for an upcoming feature on '5 Live Investigates'. This is an hour long investigative programme that goes out on a Sunday morning at 11am on Radio 5 live. The programme being produced focuses on psychodermatology. It will set out the importance of the service, how necessary it is for patients, and explore where provision across the UK could improve. As part of this, a 5 live reporter is really keen to speak to people with experience of needing psychological support for psoriasis. A reporter from BBC Radio 5 Live is looking to speak to somebody who has faced a long wait or has to travel a long distance to access specialist psychodermatology services. This is with a view to potentially being featured on an upcoming episode of '5 Live Investigates' which will focus on Psychodermatology. If you would be happy to share your experiences, or find out more about this opportunity, please contact us at mail@psoriasis-association.org.uk. 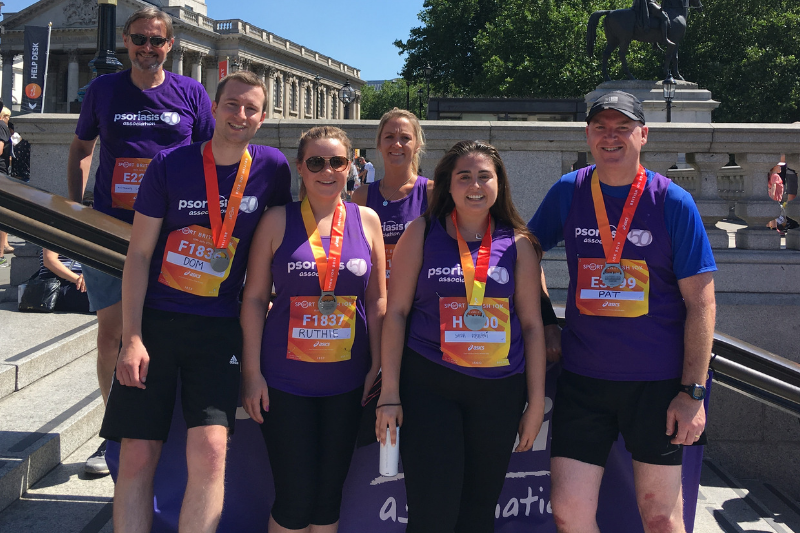 The ASICS London 10k is always a great day and we've been lucky over the years to have had so many runners take part on our behalf, wearing those purple vests and t-shirts with pride! 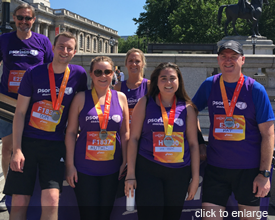 It's a great opportunity to raise awareness of psoriasis at such a high profile event, and enjoy the sights of central London at the same time! This year's event takes place on Sunday 21st July and we've still got places available in our PsoTeam! If you'd like to take part, please email us at mail@psoriasis-association.org.uk to register your interest. We'll even waive your entry fee! You can find out more about the London 10k by visiting the official event website. Naturally You is a health promotion campaign created by Nottingham Trent University students Alice and Reanne in order to educate and raise awareness of conditions which affect the skin. Alice and Reanne both have experience of such conditions themselves - Alice is living with psoriasis, and Reanne with eczema. Throughout the campaign, they will be appearing at university events as well as sharing facts and different people's stories on social media, aiming to represent as many different skin conditions and treatment paths as possible in order to educate their followers through a behaviour change model of health promotion. If you would like to share your story as part of the campaign, or you'd simply like to find out more, please visit and follow @naturallyyoucampaign on Instagram. 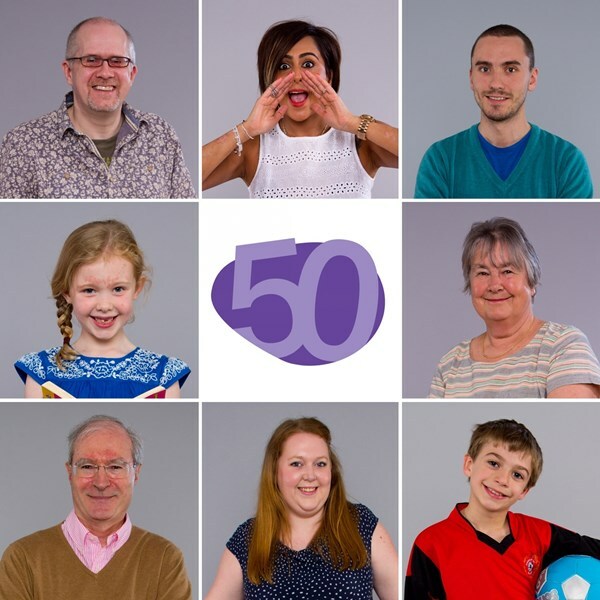 As part of our 50th Anniversary celebrations, we'd like to share your story! We plan on sharing your stories on our websites and social media channels, most notably on our Instagram page. We might share some of your stories in our members' magazine, 'Pso' too!